New York: McGraw-Hill, 1913. First edition, 9th impression; bound in red embossed buckram, sans DW; black & white drawings and tables; 168pp.. First Edition. Hard Cover. VG+/No Jacket. Sunnyvale, Ca. : Tandem Computers, Inc., 1988. Periodical bound in stiff wraps; 78pp.. First Edition. Soft Cover. Near Fine/No Jacket. Periodical. Sunnyvale, Ca. : Tandem Computers, Inc., 1988. Periodical bound in stiff wraps; previous owners address label on rear panel; 101pp.. First Edition. Soft Cover. Near Fine/No Jacket. Periodical. Sunnyvale, Ca. : Tandem Computers, Inc., 1986. Periodical bound in stiff wraps; 66pp.. First Edition. Soft Cover. Near Fine/No Jacket. Periodical. Sunnyvale, Ca. : Tandem Computers, Inc., 1984. Periodical bound in stiff wraps; previous owners name neatly penned at top of front cover; 44pp.. First Edition. Soft Cover. Near Fine/No Jacket. Periodical. Sunnyvale, Ca. : Tandem Computers, Inc., 1988. Periodical bound in stiff wraps; 95pp.. First Edition. Soft Cover. Near Fine/No Jacket. Periodical. Sunnyvale, Ca. : Tandem Computers, Inc., 1983. Application Monograph Series, Part No. 83903; Periodical bound in stiff wraps; previous owners name neatly penned at top of front cover; 34pp.. First Edition. Soft Cover. Near Fine/No Jacket. Periodical. Brookings, SD: South Dakota State College, 1936. Scarce pamphlet from the Department of Agricultural Engineering at South Dakota State College; Bulletin 298, March 1936; some underlining; 23pp.. First Edition. Soft Cover. VG/No Jacket. Pamphlet. Detroit, MI, U.S.A.: Chrysler Corporation, 1946. World War Two military history of Radar; bound in green buckram, sans DW; ding to forward front edge of book; slight forward lean; illustrated in color and black & white; 99pp.. First Edition. Hard Cover. VG/No Jacket. Forms Design: The Basic Course - Plus! Cleveland: Marvin Jacobs, 1980. Business forms lay-out; bound in stiff wraps; black & white illustrations; 128pp.. First Edition. Soft Cover. VG+/No Jacket. 4to - over 9¾" - 12" tall. New York: The W. J. Johnston Company, 1896. Part of the "Electro-Technical Series"; bound in black decorated buckram, sans DW; previous owners name and date on ffep. ; black & white illustrated; 294pp. plus 16 pages of ads. Tight, clean copy!. First Edition. Hard Cover. Near Fine/No Jacket. New York: The W. J. Johnston Company, 1896. Part of the "Electro-Technical Series"; bound in dark blue decorated buckram, sans DW; previous owners name and date on ffep. ; black & white illustrated; 377pp. plus 14 pages of ads. Tight, clean "as new" copy of this book.. First Edition. Hard Cover. Near Fine/No Jacket. Newbury Park, Ca. 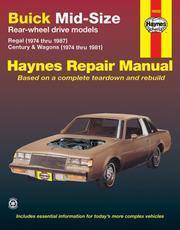 : Haynes North America, 1987. 19030 (627); Black & white illustrations; 338pp.. First Edition. Soft Cover. Near Fine/No Jacket. 4to - over 9¾" - 12" tall. New York: John De Graff, Inc., 1979. Illustrated in black & white; 128pp.. First Edition. Hard Cover. VG++/VG++. Champaign, Il. : University of Illinois, 1997. Bound in lt. red buckram, sans DW, as published; 322pp.. First Edition. Hard Cover. Near Fine/No Jacket (as published). Newport Beach, Ca. : Brooklands Books/Road & Track, 1980. Road tests, driving impressions, tech analysis & comparison tests; black & white photos and illustrations; 88pp.. First Edition. Soft Cover. VG++/No Jacket. 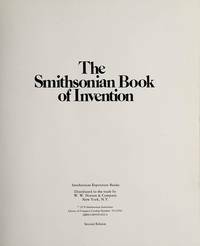 New York: Smithsonian Exposition Books/Norton, 1978. Nicks and scrape to rear panel of DW; color and black & white photos and illustrations; 256pp.. Fifth Printing. Hard Cover. VG+/VG+. 4to - over 9¾" - 12" tall. Washington D,C. : Public Affairs Press, 1948. "An official survey based upon the data of the All-Union Book Department", "Current Soviet Thought" series; bound in original blue printed wraps; translated by Helen Lambert Shadick; book store price sticker affixed to top of front cover, with some staining and overall wear; 30pp.. First Edition. Soft Cover. VG+/No Jacket.